New rules have come into force this week banning the use of exclusivity clauses in zero hours contracts, which were previously used to prevent an employee working for another employer if the hours became available. (b) there is no certainty that any such work or services will be made available to the worker. Under this type of contract, an employer does not guarantee to provide any work to an employee or a worker, and an exclusivity clause would prevent an employee or worker from boosting their income with other employers when they have no guarantee of work. A commencement order has now been introduced which bans the use of such contracts with immediate effect, and also introduces further legislation pertaining to penalties for breaches of national minimum wage payments, with potential fines of up to £20,000 per worker. 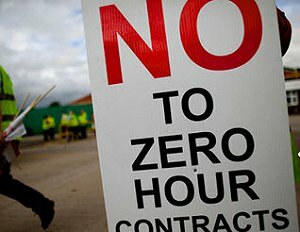 Zero hours contracts were first proposed by the coalition government which came into force in 2010, and the ban became a key part of the Conservative Party’s 2015 election campaign following lengthy public consultation. After 83 per cent of respondents to the government’s consultation voted in support of a ban on exclusivity clauses, it is now a legal offence to enforce exclusivity clauses in employment contracts.